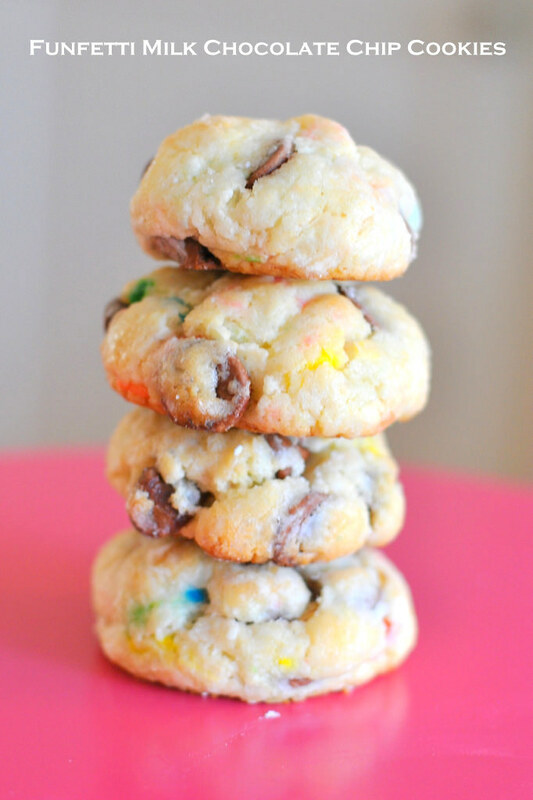 ..Funfetti Milk Chocolate Chip Cookies! 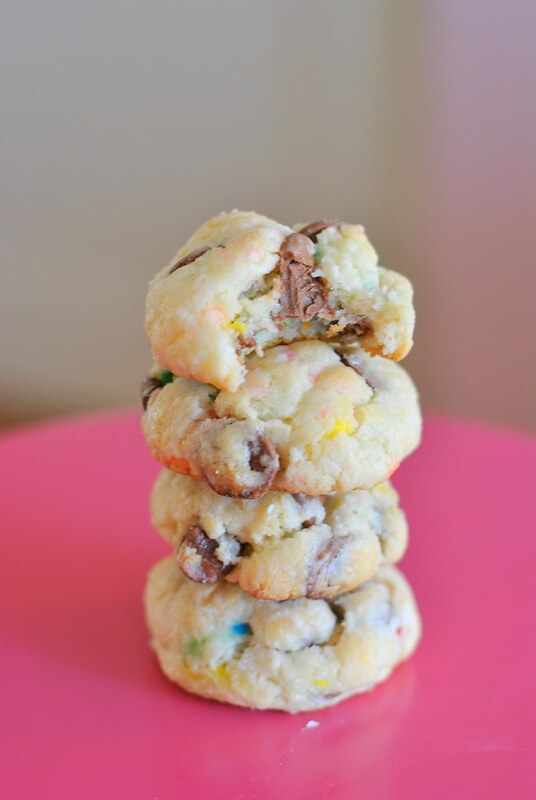 I don't know about you but growing up my favorite cake/cupcake combo was always funfetti cake with chocolate frosting. Hands down. Even as someone who loves to bake and make things from scratch I can say it's probably still my favorite because the scent alone floods my brain with happy birthday memories. 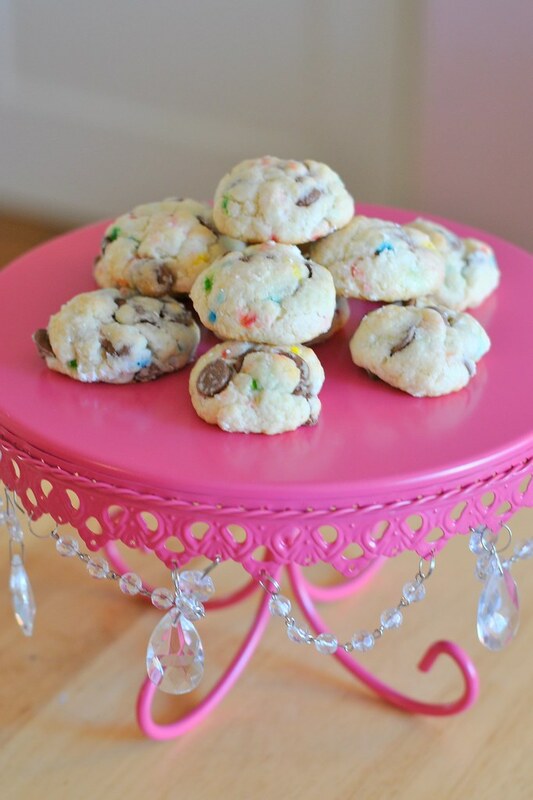 I thought recently, why not try to put all that reminiscent deliciousness into a cookie? It's easier, takes less time, and is just a lot more portable (I brought these to a party last Sunday and they were a big hit). Also, these are like SO easy. So go head and make you some goodness. Beat cream cheese and butter together until smooth then beat in the egg. 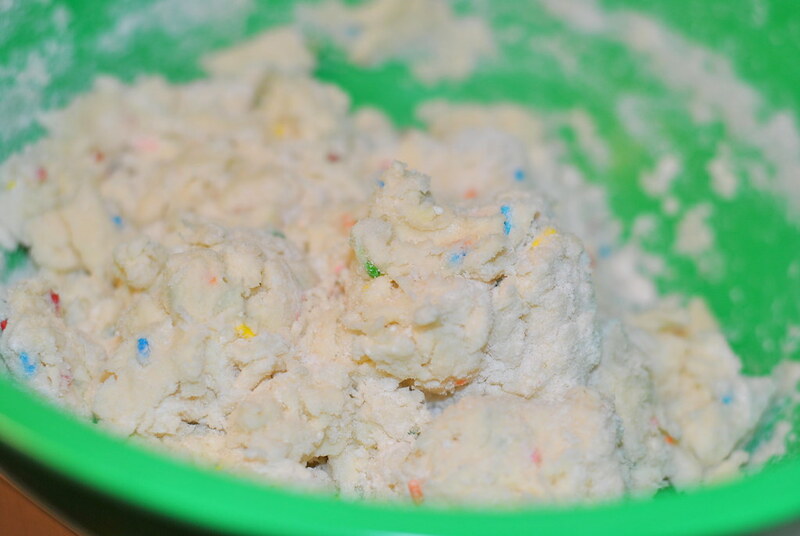 Gradually add in the funfetti mix until you create a dough. 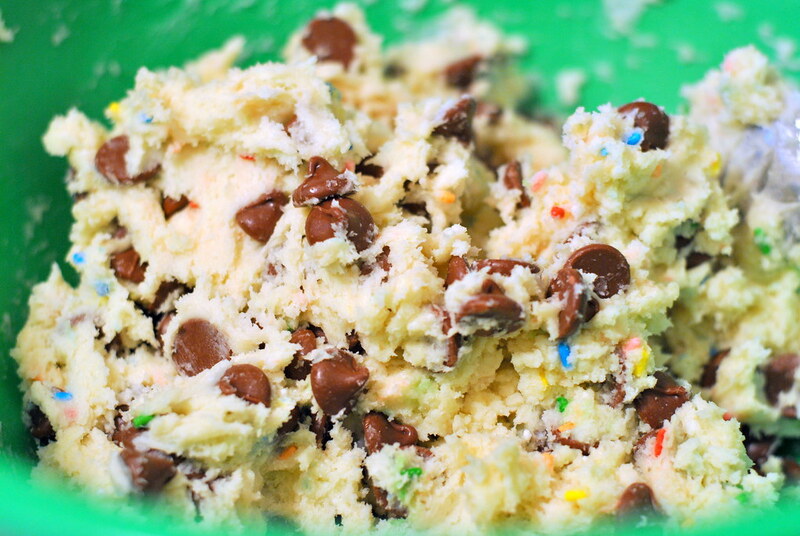 Fold in your chocolate chips until evenly distributed in the dough. Cover and refrigerate for an hour or so (until its stiff and cold) then roll the cookies into 1.5 inch balls. Coat them in some powdered sugar and bake on 350 for 12 minutes.